Increased participation in sports has led to more sports injuries. Evidence-based methods to prevent sports injuries are needed. A systematic review was conducted of the effects of randomized controlled interventions to prevent sports injuries. A systematic search was performed of various databases and the reference lists of articles and reviews. Two reviewers independently extracted the data and assessed the methodological quality of the included trials. Thirty-two trials (24 931 participants) met the inclusion criteria. We found evidence of the preventive effect of 3 types of injury prevention interventions. In 5 trials including 6 different comparisons (2446 participants), custom-made or prefabricated insoles reduced lower limb injuries compared with no insoles in military recruits (risk reduction ≥50% in 4 comparisons). All 7 studies investigating external joint supports (10 300 participants) showed a tendency to prevent ankle, wrist, or knee injuries (risk reduction ≥50% in 5 studies). All 6 multi-intervention training programs (2809 participants) were effective in preventing sports injuries (risk reduction ≥50% in 5 studies). Various interventions may prevent sports injuries. A decreased risk of sports injuries was associated with the use of insoles, external joint supports, and multi-intervention training programs. More high-quality randomized controlled trials in different sports and populations are needed. Aside from its well-known health benefits, leisure physical activity may cause sports injuries.1,2 Between 1997 and 1999, an estimated 7 million Americans received medical attention for sports and recreational injuries, the incidence being 25.9 injuries per 1000 population.3 According to Gotsch et al,4 the incidence of nonfatal sports- and recreation-related injuries treated between July 2000 and June 2001 in hospital emergency departments in the United States was 15.4 per 1000 population. Some earlier systematic reviews7-12 have summarized the effects of specific injury prevention methods based on RCTs, and a few of them have also included other controlled trials. To date, only 1 wider review5 of RCTs of sports injuries covering a variety of preventive methods has been published. This review did not, however, include quality assessment of the included trials, and since its publication many new trials have been published. The aim of this systematic review of published RCTs is to summarize the effects of interventions targeted at preventing sports injuries. We searched for relevant trials published in English through December 31, 2005, without a start date, using the following domain databases: MEDLINE (January 1, 1966, to December 31, 2005), PubMed, the Cochrane Central Register of Controlled Trials, SPORTDiscus, CINAHL (Cumulative Index to Nursing and Allied Health Literature) (January 1, 1982, to December 31, 2005), and PEDro (the Physiotherapy Evidence Database). Key words in the search were sports injury/ies, athletic injury/ies, prevention, preventive, randomized, controlled trial, and randomized controlled trial. In addition, the manual archives of the senior authors (A.H., J.P., and U.M.K.) and the reference lists of retrieved articles and relevant reviews were hand searched for possible information on trials of interest. Two reviewers (S.A. and H.K.) assessed the eligibility criteria together. To be selected for this review a trial had to investigate the effects of any preventive intervention on sports injuries. On the basis of the abstract, we assessed whether the study had the potential to be included, and on the basis of the full article, we decided whether the study met the inclusion criteria. We included trials if they were randomized or quasirandomized, controlled, and published before January 1, 2006. Trials that in all likelihood had not been randomized and abstracts unaccompanied by a full article in a peer-reviewed journal were excluded. In addition, the study report had to contain the injury rate or the number of injured individuals as an outcome, and the intervention protocol and outcome measures of the studies had to be explicitly described. Two reviewers (S.A. and H.K.) independently extracted data on the study design, intervention and characteristics of the study participants, injury criteria, and main outcomes from each article. In addition, to evaluate the methodological quality of the included studies, 2 independent reviewers (S.A. and H.K.) collected information as recommended by van Tulder et al.13 Any disagreements were resolved by consensus between the reviewers. If disagreements were not resolved, 3 other reviewers (A.H., J.P., and U.M.K.) were consulted. 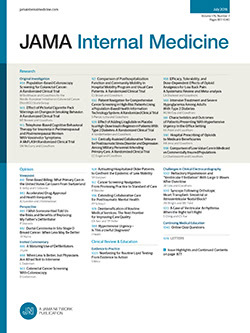 The assessment list of methodological quality consists of 11 criteria: randomization, concealed allocation, baseline similarity of the study groups, blinding of participants, blinding of care providers, blinding of assessors, co-interventions, compliance, dropout rate, timing of outcome measures, and intention-to-treat analysis. Every criterion was assessed as “yes,” “no,” or “don't know,” with only a “yes” answer being scored with a point. The sum score ranged from 0 to 11. Except for 5 studies, we calculated odds ratios (ORs) and their 95% confidence intervals (CIs) on the basis of the reported data in independent studies (Table 1). We calculated the ORs using the number of injured individuals, except for 3 trials in which we used the number of injuries because information about the number of injured individuals was missing. Subgroups were formed on the basis of similarity of preventive methods despite the fact that the preventive methods reported were not identical in all respects and that study designs were otherwise somewhat methodologically heterogeneous. In subgroups of studies, first, a qualitative assessment of results on primary outcome measures of studies was performed. Second, we quantified the results by counting how many people in the intervention group compared with the control group showed at least a 30% reduction in the occurrence of injuries. Because there were differences between studies in the information available, this calculation was performed on the basis of an OR of 0.70 or less, a relative risk of 0.70 or less, or at least a 30% higher reduction in the occurrence of injuries in the intervention group compared with the control group. A similar calculation was performed using a 50% cutoff point. We assessed heterogeneity between studies by using I2 statistics.46 A value greater than 50% may be considered substantial heterogeneity. For these analyses we used the fixed-effects model in Review Manager version 4.2.8 (Cochrane Collaboration, Oxford, England). The search strategy yielded 48 potentially relevant trials, of which 32 with 24 931 participants met the inclusion criteria and were accepted for inclusion in this review (Figure and Table 1). To gather more precise information about the specific intervention methods used the studies were classified into subgroups (Table 1). The scores for methodological quality of the 32 trials varied from 1 to 8 of 11 points (Table 1 and Table 2). The mean score was 3.8 points, which we deemed as poor-to-moderate general methodological quality. In 21 trials, no clear description of the method of randomization was given. Only 5 of 32 trials provided convincing evidence that the allocation of treatment was adequately concealed. A true intention-to-treat analysis was performed in 12 trials. The full methodological quality assessment is given in Table 2. Five trials14-18 including 6 different comparisons (2446 participants) assessed the effectiveness of different insoles to reduce lower extremity injuries compared with no insoles (Table 1). There was variation in the types of insoles used, but all 6 comparisons showed a trend toward preventive effects among those who used insoles compared with controls. In 1 study15 this trend was statistically nonsignificant. All 6 comparisons showed injury risk reduction of 30% or more, and in 4 of these trials the risk reduction was 50% or more. Statistical heterogeneity was rather low (I2 = 38.1%), although the number of individuals was lowest in the comparisons showing the highest effect size.18 In all cases the participants were military recruits. The effectiveness of custom-made and prefabricated (ready-made) insoles was similar (Table 1). In 1 study19 different types of orthoses were compared, and no statistically significant differences were found in injury incidence. On the basis of 4 studies, ankle orthoses,20,21 ankle stabilizers,22 and outside-the-boot braces23 reduced ankle injuries, with the result being statistically significant in 3 studies and the risk reduction being 30% or more in all 4 studies and 50% or more in 3 studies (Table 1). Knee supports worn by military cadets while playing football24 also showed a preventive effect on knee injuries. Wrist protectors were tested during snowboarding in 2 studies.25,26 These interventions showed a similar effect in preventing wrist injuries (ORs, 0.12 and 0.27). Therefore, all 7 studies investigating the effects of external joint supports (10 300 participants) showed a tendency to reduce the risk of injury in intervention groups compared with control groups. Injury risk was reduced by 30% or more in all the trials and by 50% or more in 6 of the 7 trials. Statistical heterogeneity was low (I2 = 25.4%). Two multi-intervention trials by Wedderkopp et al30,31 that included balance board training (400 participants) showed a significant reduction in the number of injuries in the training groups compared with the control groups. Multi-intervention programs without balance board training, including exercise and rehabilitation (2409 participants), were assessed as interventions in 4 trials (Table 1).32-35 All these trials favored the use of multi-intervention programs. In the study by Ekstrand et al,32 it was not possible to calculate the OR. However, in the original study the authors reported a 75% reduction in sports injuries, which also supports the preventive effect of multi-intervention programs. All 6 multi-intervention training programs (2809 participants) showed a reduction in the risk of injury in the intervention groups. Injury risk was reduced by 30% or more in all the trials and by 50% or more in 5 of the 6 trials. There was no high statistical heterogeneity between the trials (I2 = 46.2%). None of the 3 trials36-38 on the effect of stretching and warm-up programs (3052 participants) on the rate of lower extremity injuries showed preventive effects (Table 1). No statistical heterogeneity was observed (I2 = 0%). The effect of a special mouth guard was assessed in the study by Barbic et al39 in 646 university football and rugby players. The number of concussions observed did not differ between the intervention and control groups. In the study by Finch et al40 it was not possible to calculate the OR, but the use of custom-made mouth guards seemed to prevent head (including orofacial) injuries among 301 Australian football players. Modified basketball shoes did not display a preventive effect on ankle sprains or other lower extremity injuries.41-43 No statistical heterogeneity was observed (I2 = 0%). In the studies by Jørgensen et al44 and Arnason et al,45 1034 individuals watched an instructional injury prevention video. Jørgensen et al showed a reduction in the number of downhill skiing injuries in the intervention group. The study by Arnason et al, which also included an awareness program, did not show the instructional video to have a preventive effect on soccer injuries. In 32 trials with 40 comparisons, a significant effect of different preventive methods in preventing sports injuries was reported for 19 interventions. We grouped sports injury preventive methods into subgroups. The analysis showed that the use of insoles, external joint supports, and training programs, including different components, was effective in preventing injuries, whereas other prevention methods did not show a consistent preventive effect. We did not perform a comprehensive meta-analysis because of many different limitations related to the clinical and methodological diversity of the studies. Other possible limitations include selection bias due to inadequate concealment of allocation in 27 trials; performance and detection bias because of inadequate blinding of participants, care providers (eg, physicians, research assistant, or trainer), or outcome assessors in all 32 trials; attrition bias because of the lack of intention-to-treat analysis in 20 trials; and heterogeneity of follow-up times. Because the number of specific types of trials was low, statistical evaluation of publication bias was limited. Overall, 3 trials showing high effect size had low numbers of participants. The best methodological quality score given in this review was 8 of 11 points. In most sports injury prevention interventions, it is almost impossible to attain the maximum score because it is difficult to blind participants, physicians, and outcome assessors at the same time and to avoid co-interventions. It is possible that in many cases the quality criteria were in fact met but that because of inadequate reporting the studies may have scored lower points.47 In general, studies published more recently scored higher than older studies. The effectiveness of external joint supports has been assessed mostly in high-risk sporting activities, such as soccer, American football, basketball, parachute jumping, and snowboarding. In all 4 of the trials assessed in this review, the use of external ankle supports provided beneficial protection against traumatic ankle injuries. Similar findings were established in a review by Handoll et al,8 who conducted a meta-analysis of the effects of interventions used in the prevention of ankle ligament injuries. The nonpreventive effect of modified shoes found by Barrett et al41 can probably be explained from a biomechanical point of view. It is understandable that shoes cannot support the structures of an ankle to the same extent as more rigid orthoses, braces, and stabilizers. The shoe may actually contribute to the twisting force during an ankle sprain, and in this situation it clearly does not support the ankle. All 6 of the multi-intervention training trials assessed implied that sports-related injuries could be prevented by using different prophylactic programs. It is likely that the preventive effect of these programs is the sum of several individual methods. Because of the complexity of study designs, it is almost impossible to clarify which component of the intervention program is effective and which part of the intervention is not. Such multifactorial approaches are also usually highly labor intensive. The finding on the stretching and warm-up interventions reviewed is consistent with the results of 3 other reviews.9-11 However, definitive conclusions regarding the true effect of stretching cannot be drawn in this review owing to lack of good-quality RCTs. The role of different stretching protocols should also be studied among populations other than military recruits and focusing on specific types of injuries. The prospective nonrandomized controlled study by Jakobsen et al52 investigated the preventive effect of an individual training program including stretching, warm-up, and cooldown in recreational long-distance runners. Again, in this study the rate of lower limb injuries did not differ between the intervention and control groups. A few RCTs have investigated the effects of other interventions, such as the use of instructional videos44,45 and modified shoes.41,43 However, the limited number or clinical diversity of these interventions means that it is not yet possible to form strong conclusions about their effectiveness. Two studies39,40 on mouth guards gave contradictory results, which could mainly be explained by the difference in injury outcomes, since mouth guards provide impact energy attenuation only during impacts to the mouth and therefore have limited function in preventing concussions. Because many sports participants have limited resources to devote to the issue of injury prevention, recommendations based on RCTs can focus their interest on time- and resource-efficient methods. This systematic review of 32 RCTs shows evidence that different interventions, such as shock-absorbing insoles, external joint supports, and training programs, seem to have a preventive effect on reducing sports injuries. However, there continues to be insufficient evidence to allow firm conclusions to be drawn about the effects of these methods of preventing injuries in different types of sports thus far. Note that many effective means of preventing sports injuries may not been studied using randomized designs, such as rule changes and the use of protective equipment. The present review focused only on interventions studied in randomized trials. Future research should focus on commonly practiced and high-risk sports, including modern sporting trends. In addition, in future studies issues concerning the acceptability, compliance, cost-effectiveness, and long-term adherence of the preventive measures should be well evaluated. Correspondence: Urho M. Kujala, MD, PhD, Department of Health Sciences, University of Jyväskylä, PO Box 35 (LL), FIN-40014 Jyväskylä, Finland (urho.kujala@sport.jyu.fi). Accepted for Publication: March 26, 2007. Author Contributions: Ms Aaltonen and Dr Kujala had full access to all of the published data in the study and take responsibility for the integrity of the data and the accuracy of the data analysis. Study concept and design: Aaltonen, Karjalainen, Heinonen, and Kujala. Acquisition of data: Aaltonen, Karjalainen, Heinonen, Parkkari, and Kujala. Analysis and interpretation of data: Aaltonen, Karjalainen, Heinonen, Parkkari, and Kujala. Drafting of the manuscript: Aaltonen, Karjalainen, Heinonen, and Kujala. Critical revision of the manuscript for important intellectual content: Aaltonen, Karjalainen, Heinonen, Parkkari, and Kujala. Statistical analysis: Aaltonen, Karjalainen, Heinonen, and Kujala. Administrative, technical, and material support: Heinonen, Parkkari, and Kujala. Study supervision: Kujala.